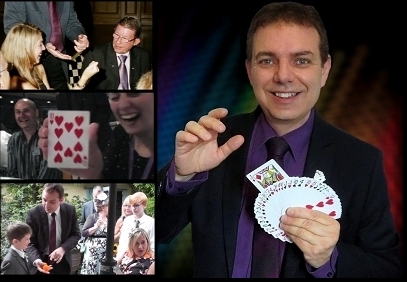 Russ Styler's combination of amazing sleight-of-hand magic and humour have certainly been key factors that continue to make Russ a most popular magician for corporate events, weddings, landmark birthday party celebrations, anniversaries and all other special events and occasions in Sutton Coldfield and the West Midlands. 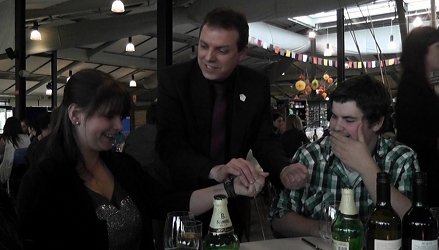 As a highly experienced professional magician, Russ has performed his magic at just about every kind of venue from top London hotels such as The Dorchester and Grosvenor House to the cosy surroundings of the local pub restaurant and just about everything in between! Close up magician / table magician or shows. 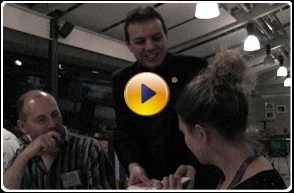 Magician for hire Sutton Coldfield for any event. Magic themed party, corporate dinner, anniversary party, adult birthday, cocktail party, student prom - you name it! Contact now for information or cost / fees. Sutton Coldfield, West Mids and all UK. 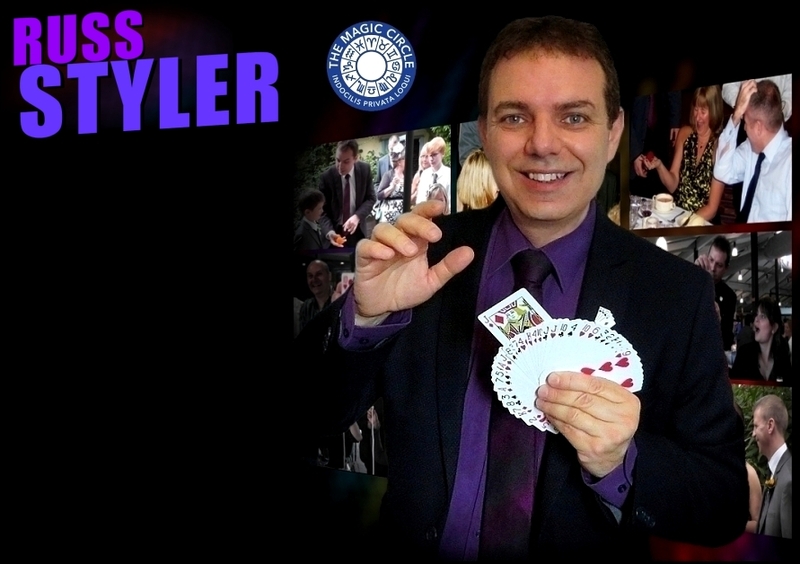 Contact Russ now for further information or a quote and maybe he will be bringing his magic to your event in Sutton Coldfield soon! If you would like to learn how hiring a magician can work to give your special event or occasion an added magical dimension and leave your guests with something that they will talk about for years to come, click on any of the appropriate tabs above to learn more.